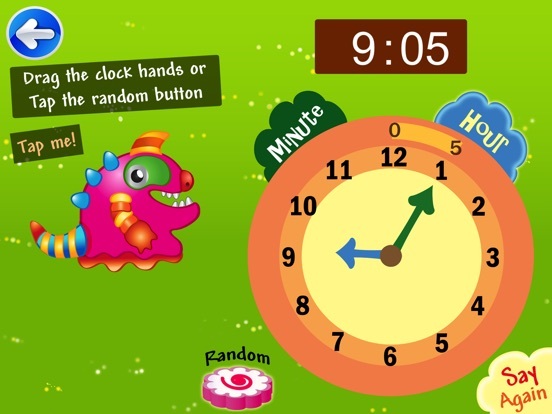 Clock Challenge is a great app for kindergarten to 2nd grade children to learn and practice telling time. 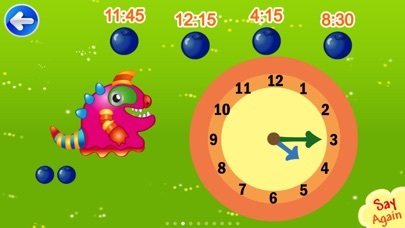 Your child will learn how to tell time on analogue clocks in various ways using minutes past/after, minutes to/before and quarter past/to. 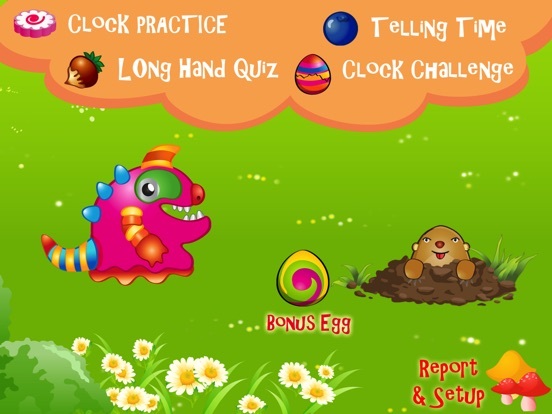 In Telling Time and Long Hand Quiz, your child will compete against a gopher in reading the clock. With every incorrect answer, the gopher gets points. 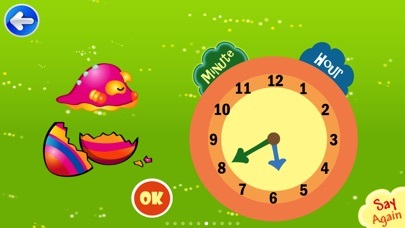 In Clock Challenge, the egg will hatch and grow as their score goes up. 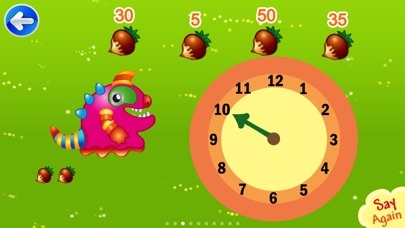 Also, a bonus egg is included to encourage your child to practice more. 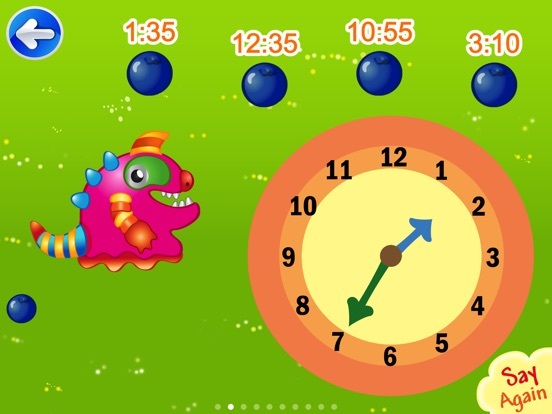 This is a fun game to improve your child's time telling skills. 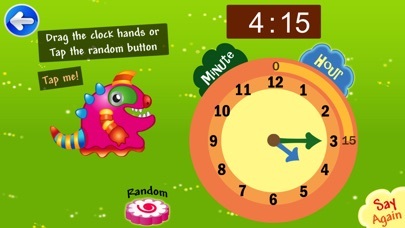 **Plus a play history report and setup option for a parent or teacher to control the level of difficulty (i.e, setup to ask a question only hours, half an hour, quarters or nearest 5 minutes), setup to show minutes (0,5,10,15,…55) on the clock face and customize the number of questions and number of tries to match your child's level. **All words have been recorded by professional voice talent. 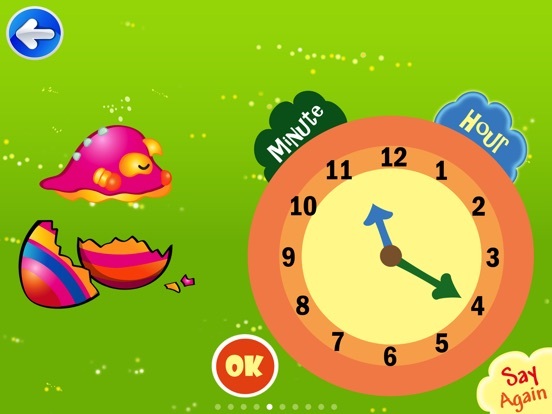 *** If you have any questions or problems related to our app, please email us at playsmart.kids@gmail.com. We are willing to assist you.